Yearning for a bit of dual-core action on the move? Who isn't. 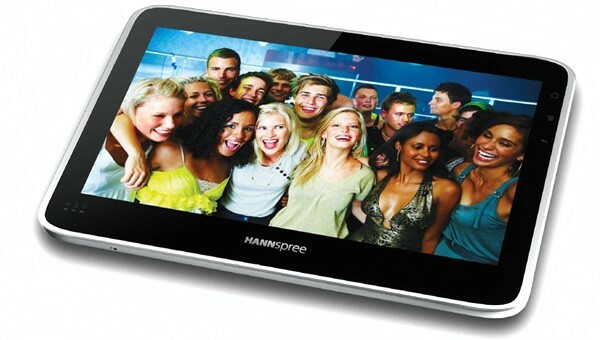 Hannspree will soon try to quell that 1080p-sized hunger in all of us with its freshly announced €399 ($507) Froyo tablet. There's no lack of spec sheet ambition here: a 1GHz Tegra 2 SOC is surrounded by 16GB of internal storage (expandable via MicroSD), an accelerometer, WiFi and Bluetooth 2.1 connectivity, a 1,024 x 600-pixel capacitive touchscreen, and mini versions of HDMI and USB ports. Flash 10.1 is also proudly supported, while the 3,500mAh battery is said to last up to 8 hours when playing 1080p movies. We'd be getting real excited right about now, but we've learnt to be cautious with such lofty promises -- remember the Gemini?